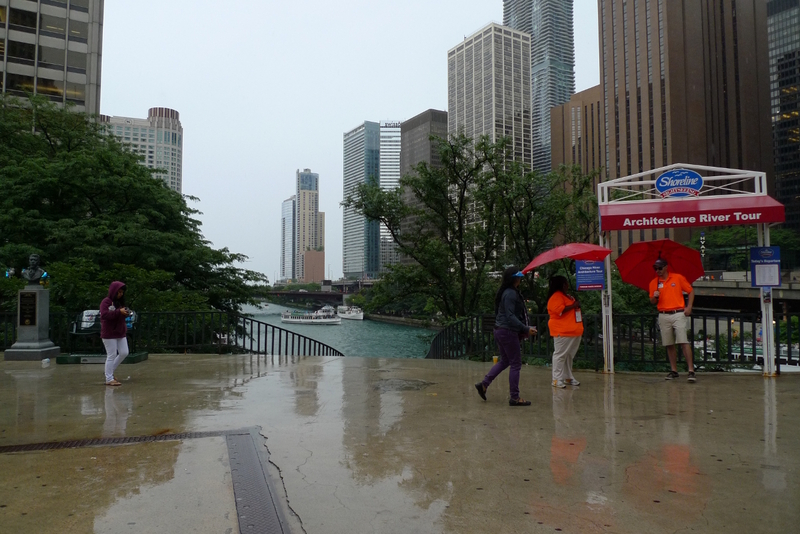 This Friday, just as the rain stopped pouring down and the Loop remained as jammed as it always is around 6 p.m., we were about to board a boat to take an architecture trip on the Chicago River. 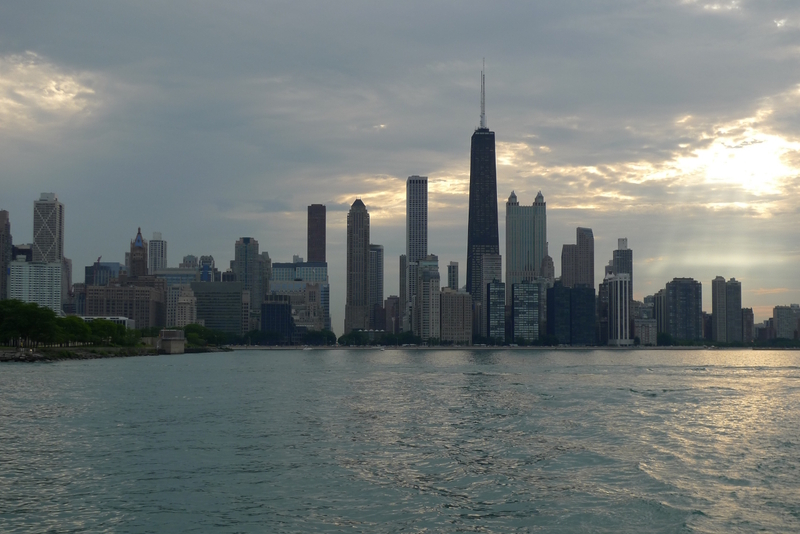 It is a really great way to take a good look at the magnificent buildings of downtown Chicago and learn some interesting details while you’re at it. I’ve already been on one of these boat tours before, so this time, instead of concentrating on taking photos of skyscrapers (which would likely come out less than satisfactory anyway due to the limitations of my trusty camera), I’ve snapped a few shots of things that seemed just as interesting. 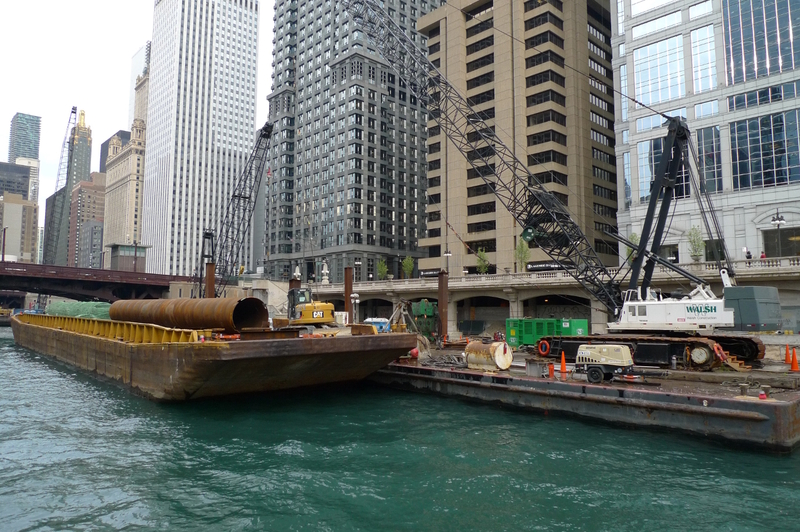 For instance, have you ever wondered how the construction works are done by the river? Me neither, but on second thought this must be quite an engaging problem. 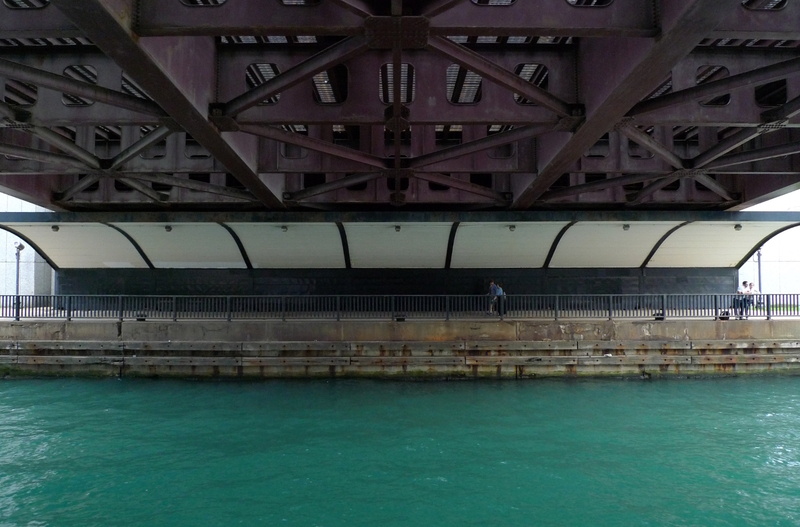 Did you know that in Chicago there are 38 movable bridges? That makes the city only second to Amsterdam in the number of drawbridges, and the number one in the world when it comes to the variety and different drawbridge designs. 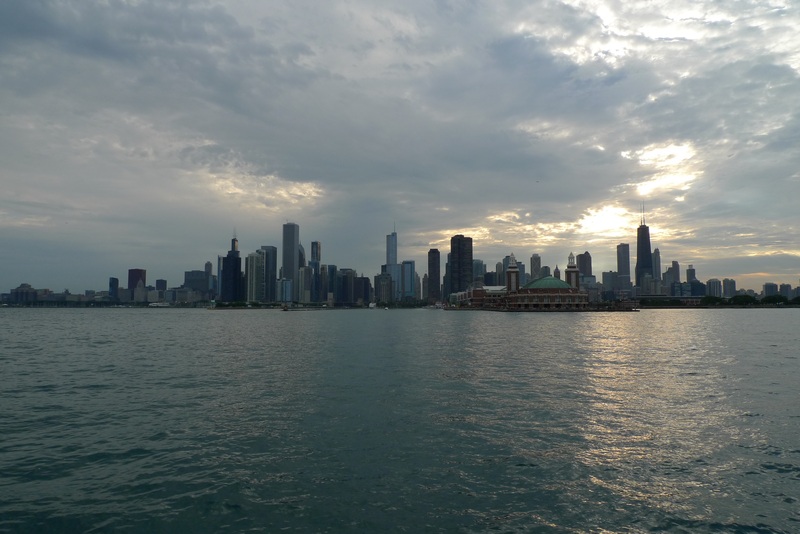 Or did you know that the Chicago water cribs draw 4 billion liters of water every day? 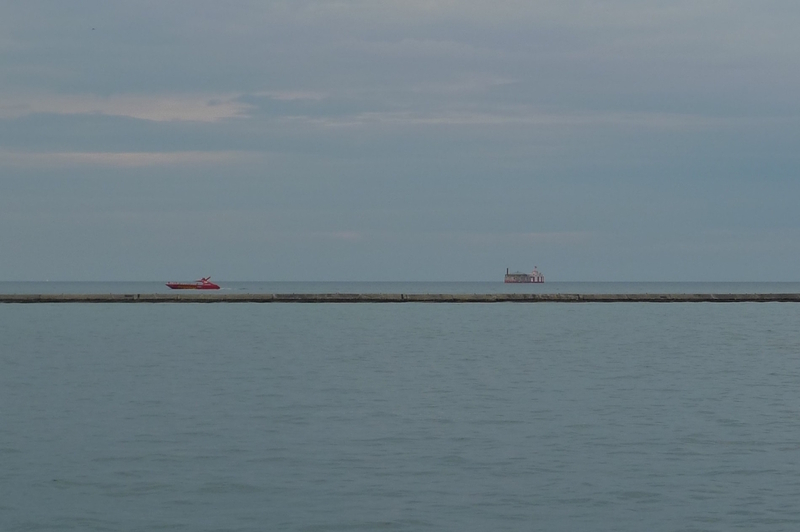 Here you can see the Carter Harrison / William Dever crib in the distance. 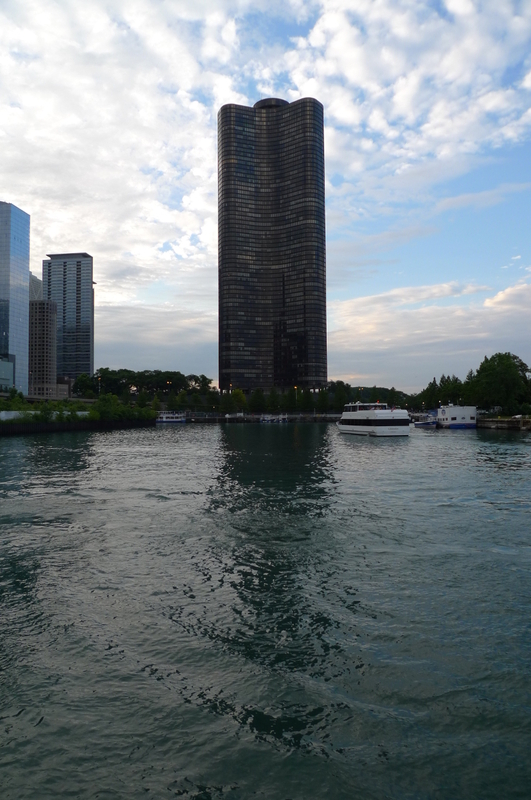 Also, have you ever wondered why the Lake Point Tower is the only skyscraper in downtown Chicago east of Lake Shore Drive? 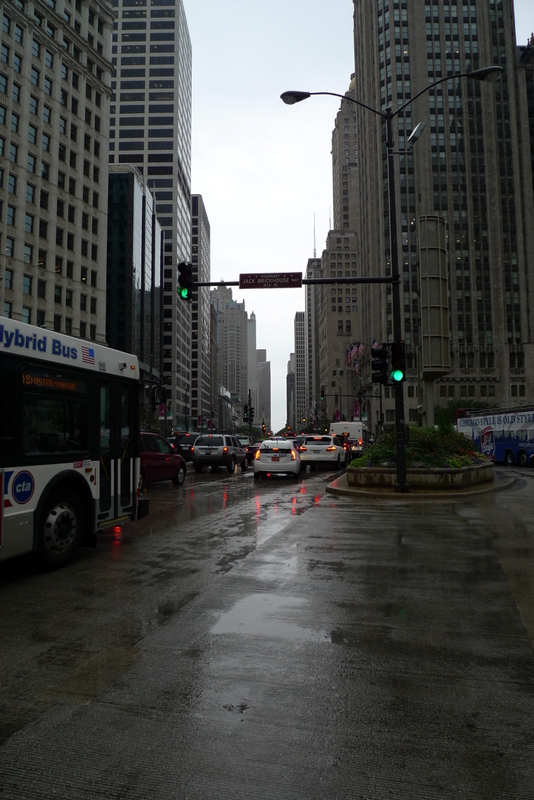 Just in time before his passing, the city authorities themselves realized the importance of his action and passed appropriate laws protecting the areas east of the Lake Shore Drive. In result, it is lined by beaches, parks and playgrounds, while the waterfronts of other Great Lakes cities are all taken by warehouses, piers and industries. 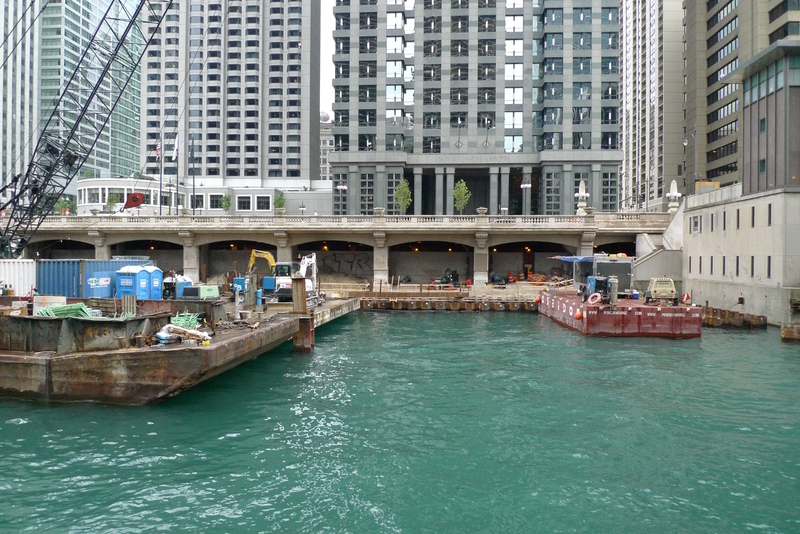 How is it possible then that the Lake Point Tower has been built? Rumor says it’s a result of a loophole. Finally, we took out onto the Lake Michigan for a while and that’s where my resolution not to keep on photographing skyscrapers wavered. 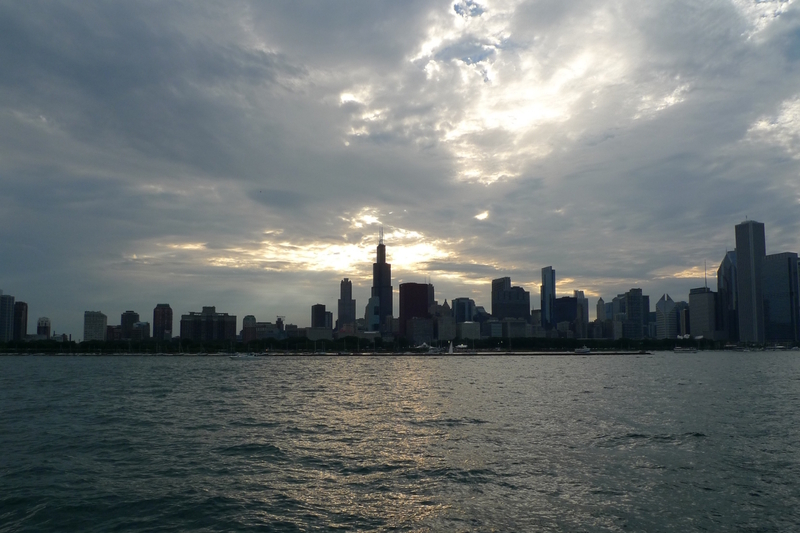 In all honesty though, take a look at this skyline and tell me: can you blame me? Well, frankly, you must have no soul. It’s better that you know now. This photo is larger than usual – it’s actually full size, so go ahead and click on it! You may be amazed how many skyscrapers you can already name. What better way to spend late Friday afternoon than that? 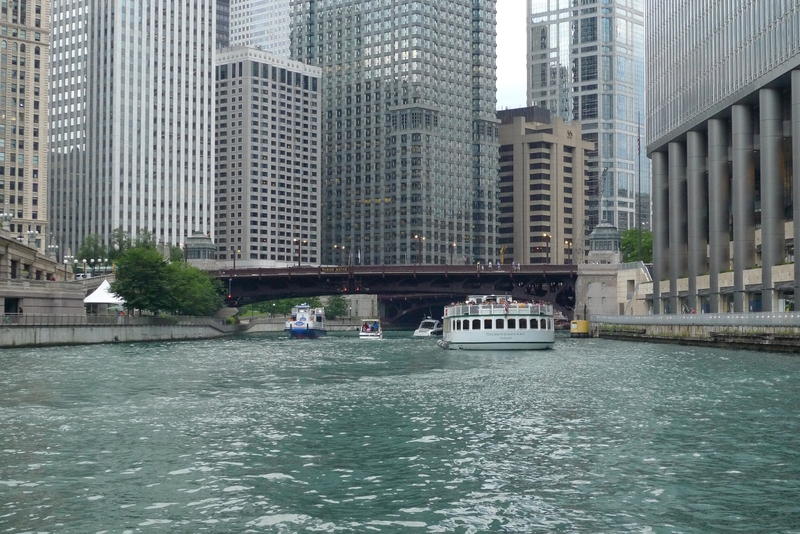 If you’re ever in this area, taking a boat tour should be among your top 3 things to do, right beside visiting the Willis Tower skydeck and eating a deep dish pizza. 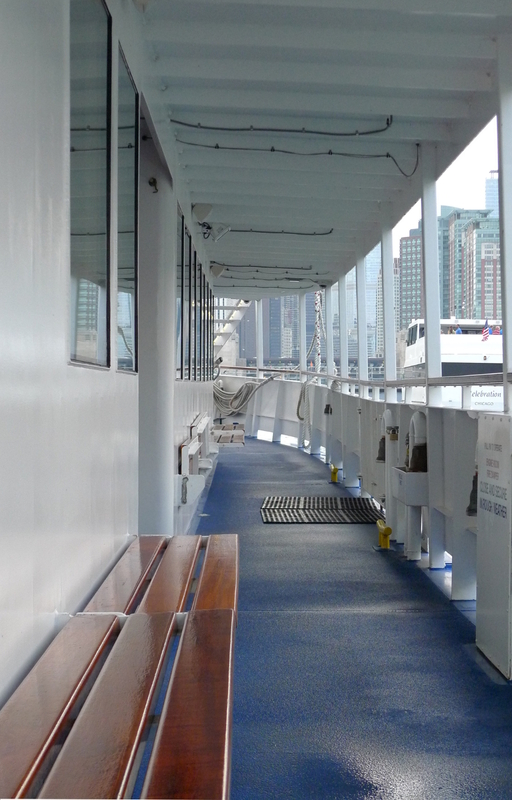 And if you’re lucky enough, you may arrive right after the rain will have stopped and have almost the whole boat to yourself. 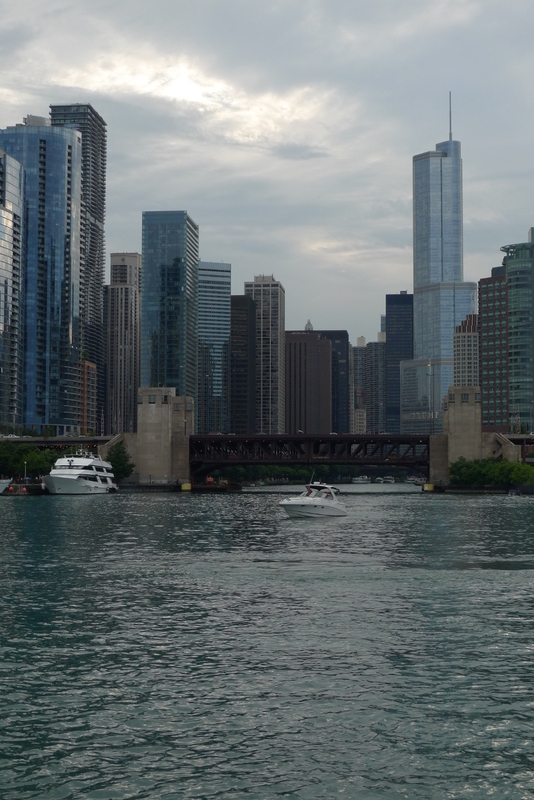 This entry was posted in Boat Tours, Chicago, Chicago River, Rain, Skyscrapers, The Loop, Travel and tagged Boat Tours, Chicago, Rain, Skyscrapers, The Loop, Travel. Bookmark the permalink.